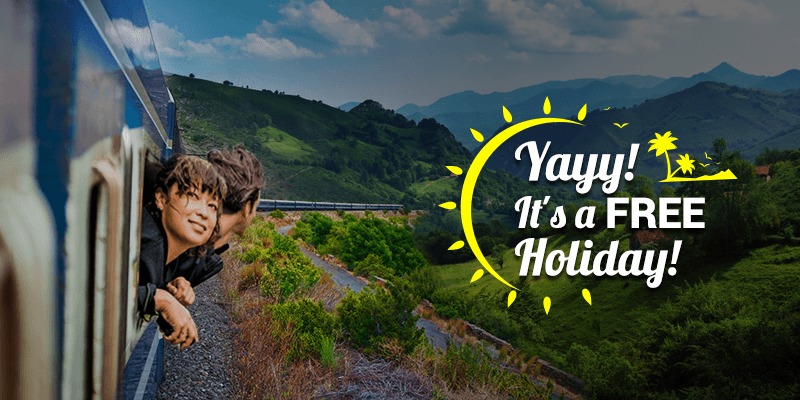 Home Quick Tips How to win a free holiday with RailYatri – It’s Simple! 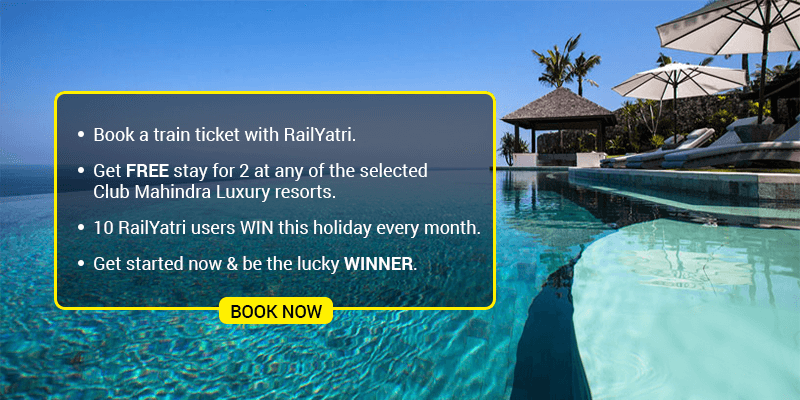 How to win a free holiday with RailYatri – It’s Simple! With RailYatri, travel is a year-long season! Whether you like the hills, beaches or just want to watch the world pass by – anytime is travel time with RailYatri. And we just made it easier for you – book a train ticket with RailYatri and stand a chance to WIN a free holiday for two persons in any of the selected Club Mahindra resorts across the country. So, no more fretting over skyrocketing hotel prices, just pack your bags and ghoomo befikre. Easy steps to win a free holiday, right here. What, you can’t decide where to go? Well, we make it a cakewalk for you. Given below are some of the hand-picked destinations where you can enjoy a relaxed two-day luxury stay at no cost at all. Read more and get going. 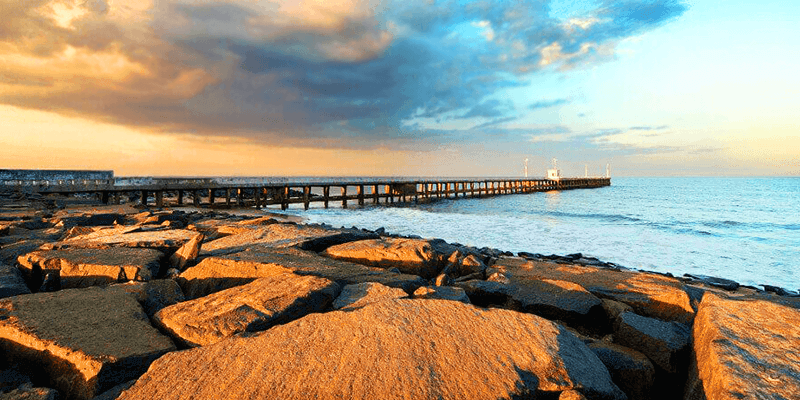 With a 32-km long coastline, beautiful backwaters and balmy beaches, the little town of Puducherry is a glorious mix of French and Indian culture. You can spend some quality time amidst antique architecture, quiet beaches, French food and good beer. Do not forget to visit the internationally popular Auroville Ashram. The tiny hamlet of Auroville is a settlement where people from different caste, religions and traditions, exist in harmony and peace. *Explore more of it with a free & comfortable stay at Club Mahindra Puducherry Resort. 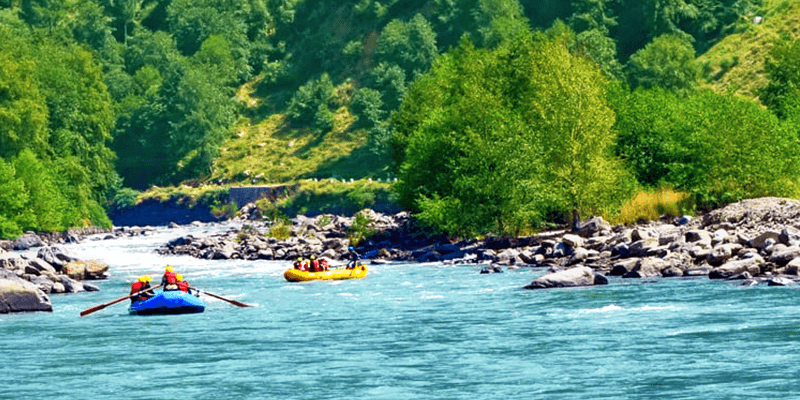 If you wish to take a break from the hustle-bustle of the hectic city life, then the idea of a holiday in Manali seems to be the best option for you. Defined by lush green valleys, this hill town has gained popularity among adventure lovers. Trekkers and nature lovers are drawn to this place for its perfect topography and adventure activities. This place offers a number of adventure sports like trekking, hiking, river rafting, mountaineering, paragliding and mountain biking. 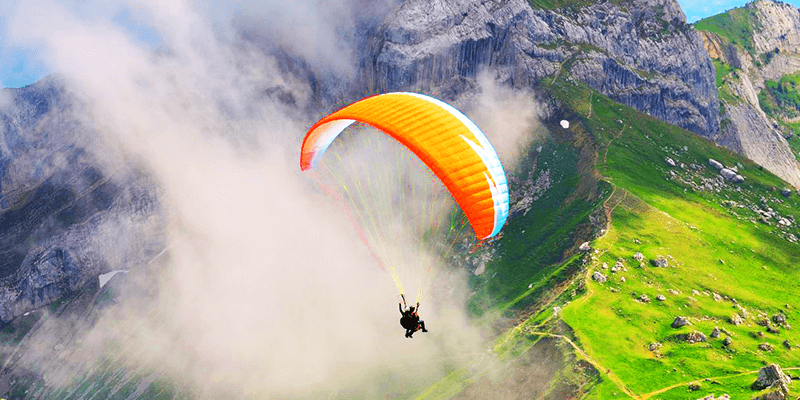 Solang Valley, which is beautifully perched a little above pristine Manali is a haven for adventure seekers with options for Paragliding and Zorbing. The price for these adventure activities begins from Rs.500/per person. *Have a great family holiday experience with Club Mahindra Manali Resort, which offers stunning views, excellent hospitality, great food and lots of promising adventure activities, for you. 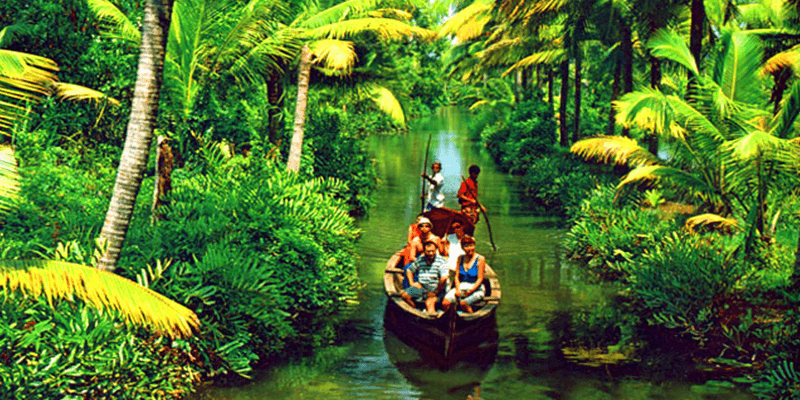 A holiday in Alleppey, Kerala, could mean many things for many people – Ayurveda for some; wildlife for others and for some it is relaxing moments in tranquil backwaters on a houseboat! Alleppey offers you a perfect place where you can lounge around with a book or simply gaze out at the beatific sunset and sunrise. You can anchor yourself in a houseboat, and watch the boats crisscrossing alongside. *Set amidst beautiful surrounding, facing the Punnamada backwaters, Club Mahindra Alleppey resort in Kerala offers the best of nature and luxury in one place. If your definition of adventure includes a rendezvous with the Asiatic Lion, then a holiday at Gir is a must. A jungle safari at Gir Wildlife Sanctuary will be your best bet. Gir is definitely an ecological gem of India and besides a home to Asiatic Lions, it is also an abode to many avian species. 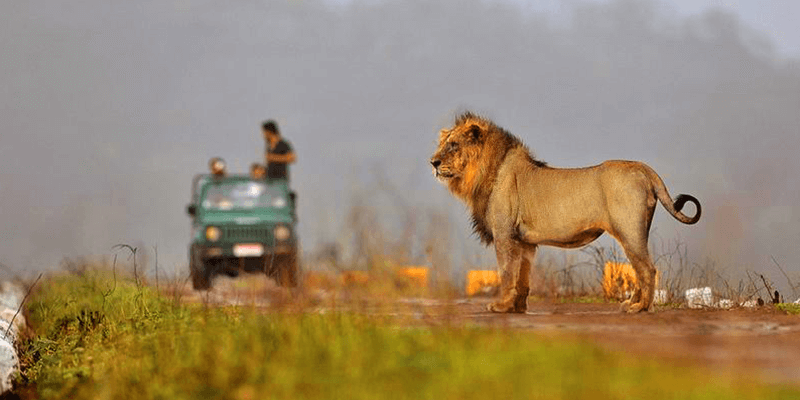 The best way to enjoy the jungle safari in Gir National Park and spot the lion is heading for an early morning or dusk safari. *Club Mahindra is the right place for you to do some wild adventures and to be amidst nature. 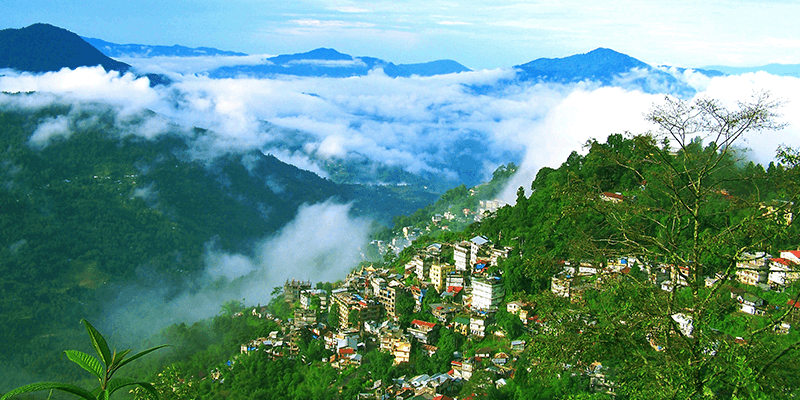 The ideal weather, serene beauty and lush green forests, makes your visit to Gangtok a peaceful retreat. The place is nothing short than a magnet. The more you see it, the more you’ll want to stay in this place of ethereal beauty. Take a road trip from Gangtok to Darjeeling. From serene landscapes of Darjeeling to Gangtok’s high mountains and monasteries, the road is one hell of a joy ride. While at Gangtok, you can visit places such as Enchey Monastery, Rumtek Monastery, Nathula Pass and Khangchendzonga National Park. Do not forget to take a stroll and go shopping at the famous M.G. Road. *Overlooking the majestic Chola mountain range, Club Mahindra Royal Demazong Gangtok resort perfectly combines traditional Sikkimese hospitality with modern-day comforts. Just don’t miss out on this golden opportunity. Book a train ticket and pamper yourself fully this travel season.